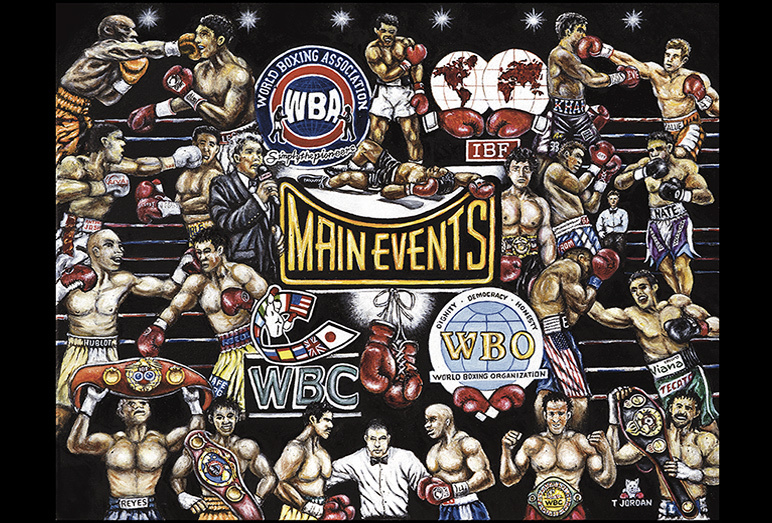 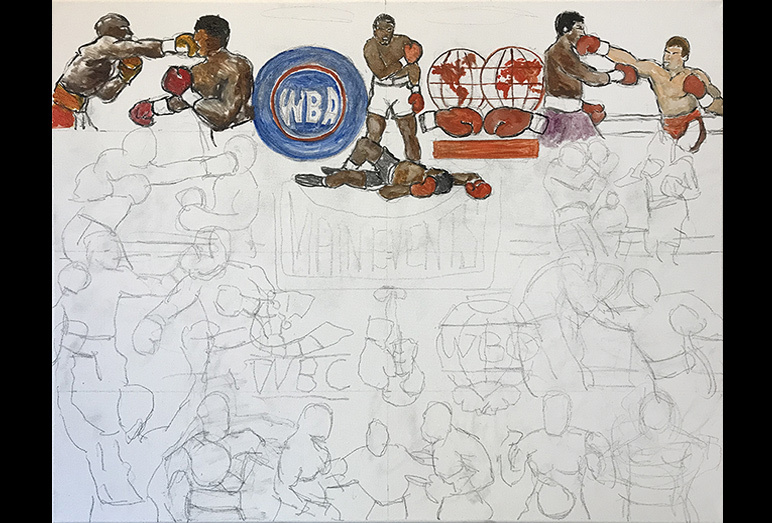 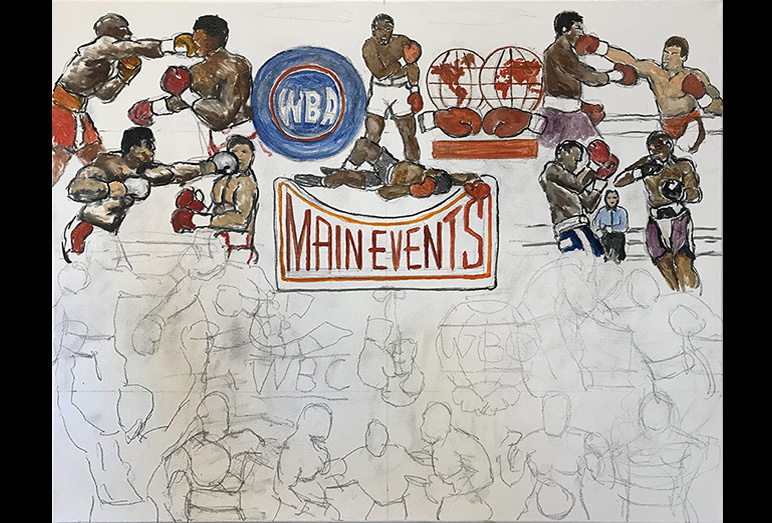 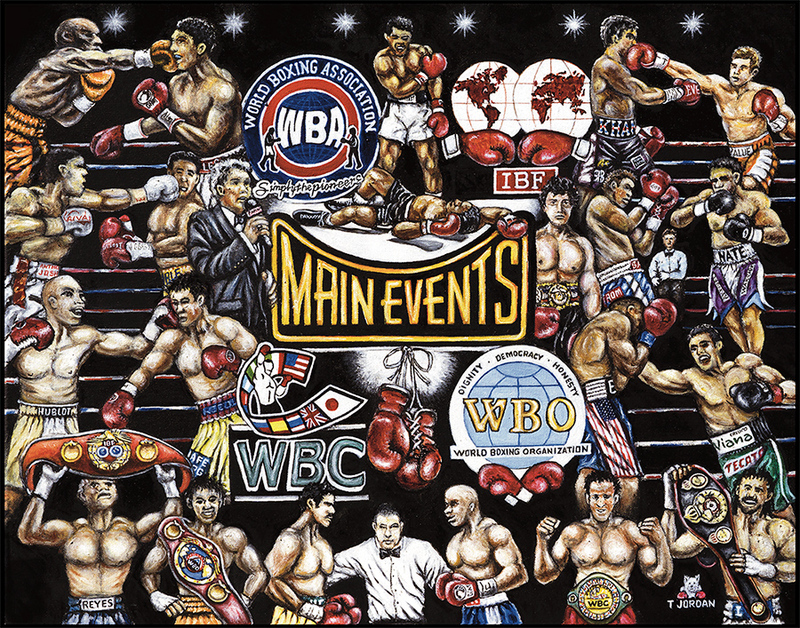 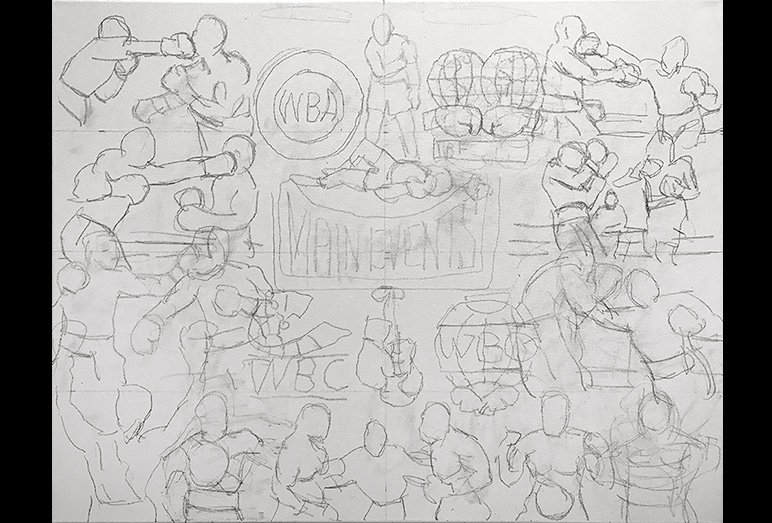 Main Events Boxing Tribute -- Painting Progression -- Use controls to view all images. 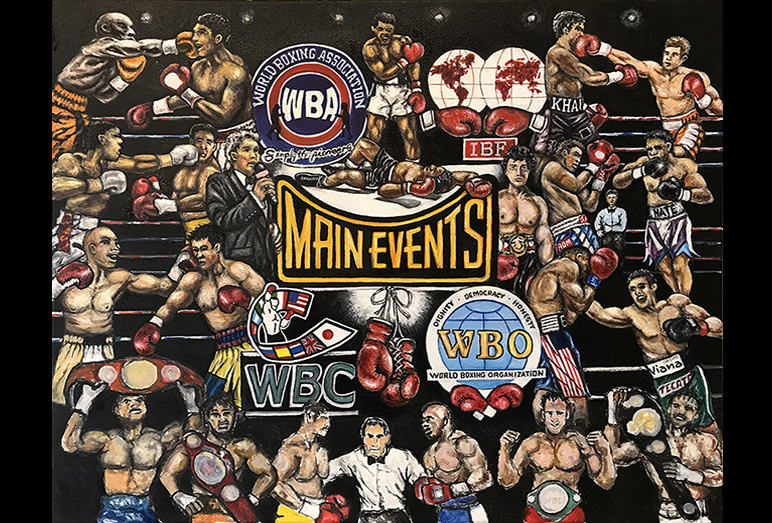 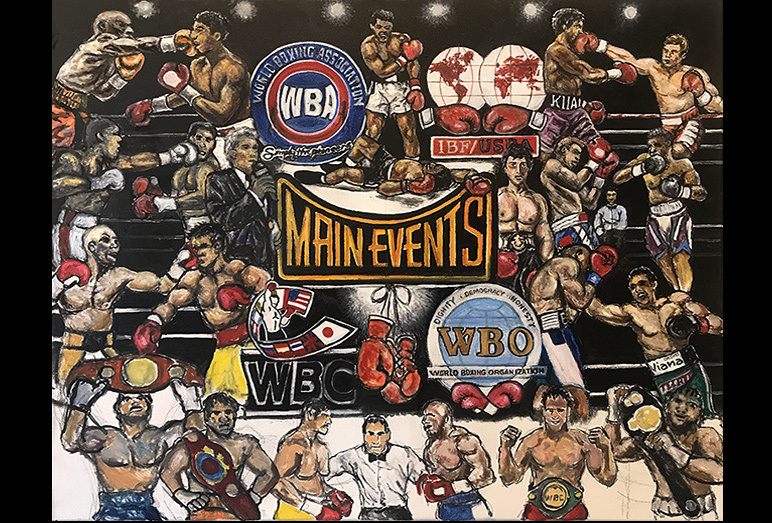 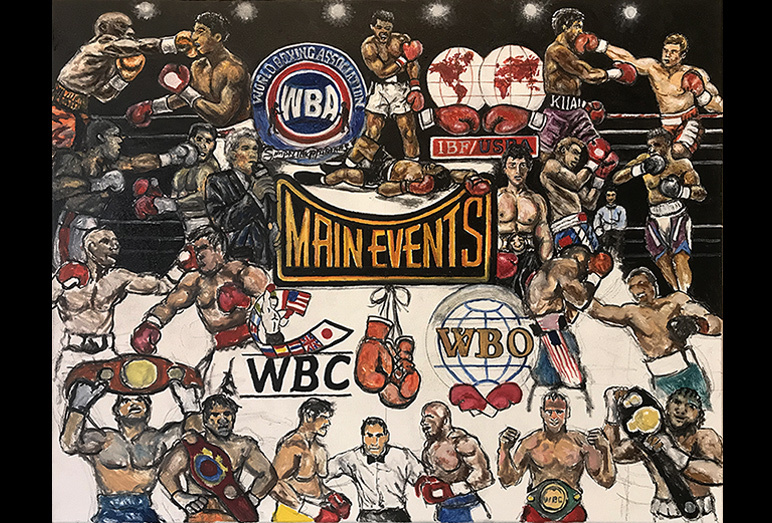 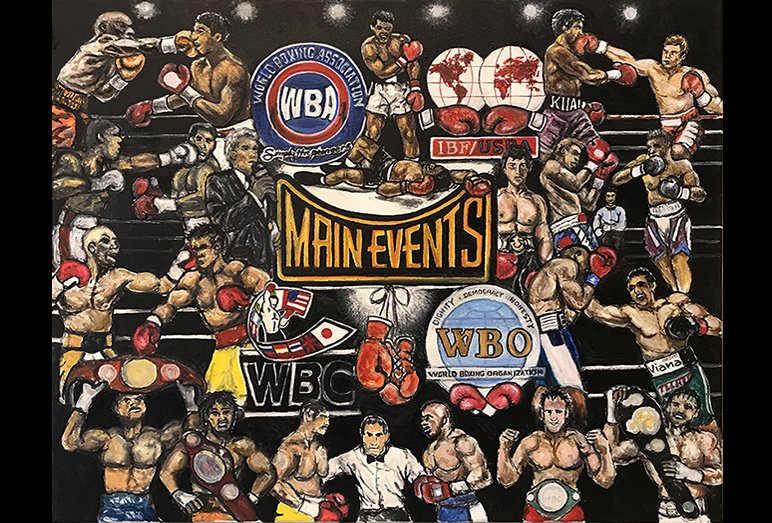 Tom is excited to announce the completion of another commissioned painting, a tribute showcasing modern day boxing organizations, moments and participants. 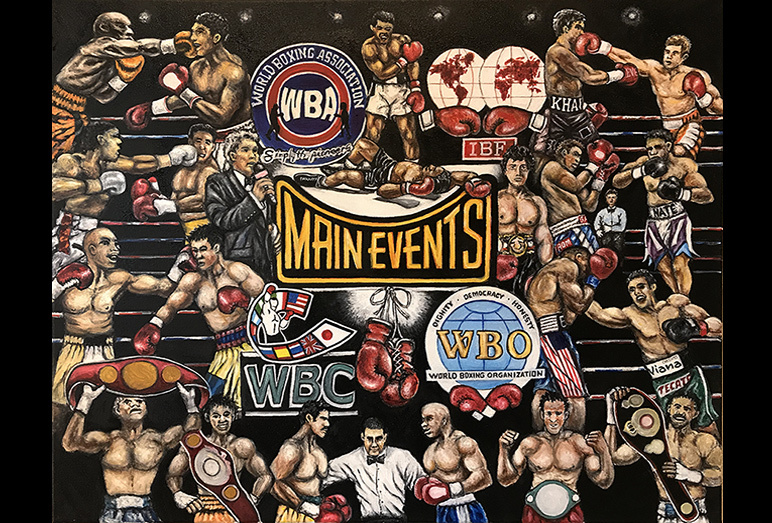 The grand sport of boxing originated when a person first lifted a fist against another in play and is one of the most entertaining and followed sports around the world. 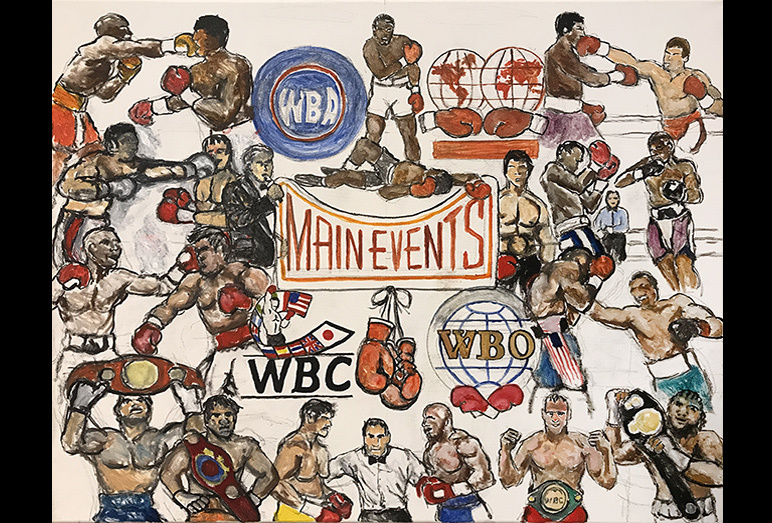 The Ancient Greeks believed fist fighting was one of the games played by the gods on Olympus; thus it became part of the Olympic Games in about 688 BC.